I have my very first project up on the Chic Tags blog today and since it's Valentine's Day, I used this photo of my sweet hubby and me. The cute tags are from the exclusive January kit, I did some layering and then even more layering. Don't you just love that pretty teal color!! I cut the title with my Silhouette and then added a cluster of sequins, enamel dots and some tiny punched hearts. I added a little bit of machine stitching too! 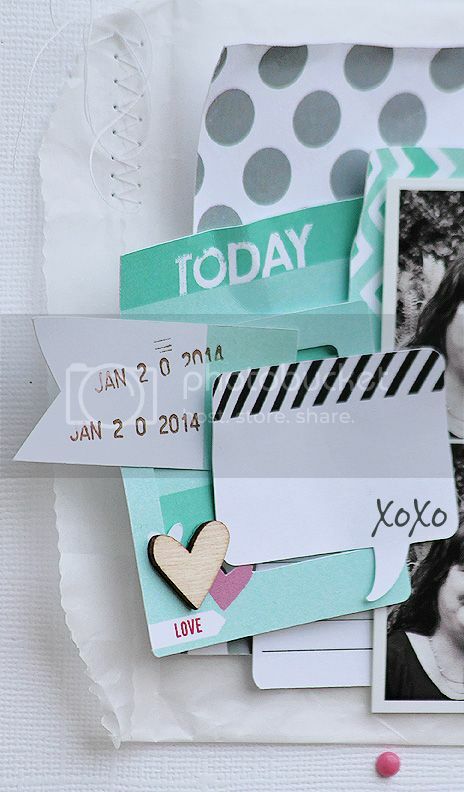 Supplies- papers and tags: Chic Tags, wood heart: Studio Calico, enamel dots: My Minds Eye. Love all the layers, stitching and the cluster of goodies! You know how I feel about this layout, it's just amazing!! Very pretty! Love the turquoise. 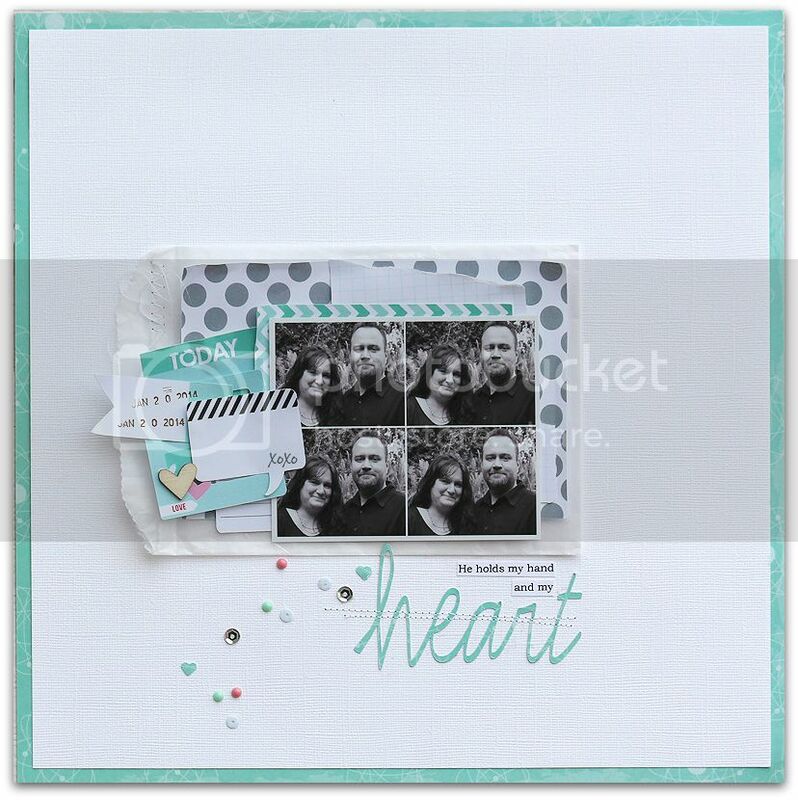 Love the soft colors in this, gorgeous layout! Very pretty! Love the stitching! Love this sweet page Mary Ann!! Great photos of you and your hubby! !